There is a reason that people are used as icons, that God is pictured as a person, that animals and other living things are used to describe divine principles. And it has to do with the very nature of the universe itself, namely that it is alive and not merely an aggregation of rocks and ice pushed and pulled by nuclear reaction and gravitational force. When we talk about the Feminine Principle, we are talking about consciousness. And even deeper than that, we are talking about Being and the way Being expresses itself outwardly into manifestation – the act of creation. Now, this all sounds so cosmological, so metaphysical – even occult. And it would be all that if the universe were not conscious and alive. Rocks, trees, plants, and animals are not enough to contain this Life. We are not talking about nature worship. What we normally perceive as “nature” is but the effect of a larger Life, our own physical body being no exception. It is the Solar System itself that constitutes the vehicle of this larger Life – a living cell in the greater body of the Cosmos. We have to understand the body in which we live before we can understand the greater body. The Feminine Principle is so vast and so powerful that the mind cannot comprehend it. Consider the analogy of sperm and egg. The tiny sperm cell carries the initiative, the spark; the brooding ovum carries the power to act on that initiative. The sperm cell carries the plan, which is procreation. It is the extension of will. And it is committed to the action. But once it has achieved its goal, it disappears. And all of the latent potential of the ovum is unleashed in mathematical precision to the fulfillment of the Divine Will. Yes Judith, my sentiments exactly … Just stupendous. Would love to know who penned this. Silly me. I’ve been so focused on writing these articles that I completely forgot to add a byline. My name is Michael Maciel. I live on the San Francisco Peninsula. I lived in San Francisco once before, in 1972, where I was a priest in the Holy Order of MANS. Since then, I have investigated many spiritual paths from which I have tried to extract the essentials and present them here as clearly as I can. To date, there are nearly 100 subscribers to The Mystical Christ, and the list is growing. Thank you for your comments. If you would like to contact me, you can reach me through Facebook. Will you please talk more about the inner Sacred Marraige? The Hermetic axiom, To Will, To Know, To Dare, to Be Silent; is the representation of the YHVH ‘process’ of creation; and really like your use of the YHVH formula: To Know (plan) to Will, and To Dare to realize our Heart’s Desire) and to be Silent about it. 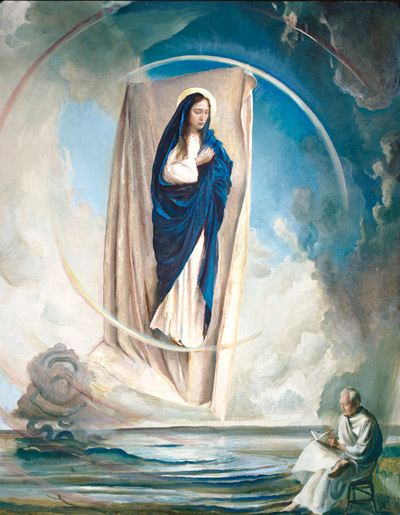 OUr Lady clothed in the Sun/Son (Key3). Daleth,the Door, unites Cosmic Consciousness (KETHER) to the House of Beauty (Tiphareth), in Lurian Kabbalah; and in astrology Key 3 is exalted in Key 18, the Creative Process Key 3, Reorganizing Key 18, our vehicles, to more receptive and purified for the Light to Work through. Nice. Not sure if I got it but I feel it when reading it. ok. 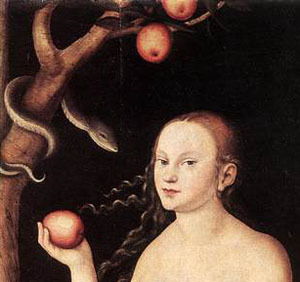 The Devine Feminine is, indeed, the Preserver of the Cosmos. Goethe’s Faust, longing for “higher spheres” recognizes this in the end when he says “das Ewig-Weibliche zieht uns hinan” – the Eternal Feminine draws us upwards. What wonderful truth, Michael. Thank you. Thank you Mother, Thank you Michael, a beautiful BIRTH…..
As an archetypal image, I think The High Priestess is an ideal representative of the Divine Feminine. She represents subconsciousness, which is not to say that it is inferior to self-consciousness, represented by The Magician; just a different function: duplication. Like the Moon reflects the Sun, the subconscious mirrors whatever the self-consciousness puts into it. Subconsciousness is the propulsive, driving force in human personality–propulsion. 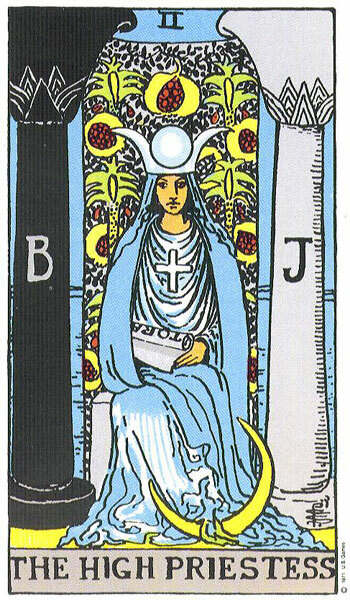 The Mother is well represented by The Empress, Key 3, which is the response of subconscious mental activity to self-conscious impulse in the generation of mental images: multiplication. Hence, 3 is the number of production, formation, organization, propagation, elaboration. 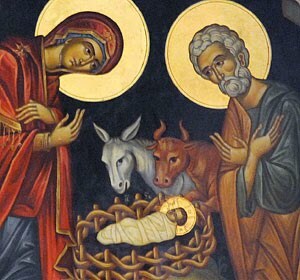 Quite interesting to note is that Mary in Greek means water (mere, the sea). Fire through water – the spirit only manifests through water. 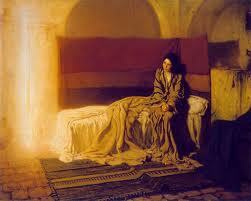 A woman’s “water breaks” announcing the birth of her child, a new spirit’s arrival in the Kingdom. There was a book written for Initiates of the Great Work called the Tarot. It not only gives them some idea of what lies in store for them on their path ahead, but, in addition, beautifully illustrates the changes required in their lives to keep them on it! 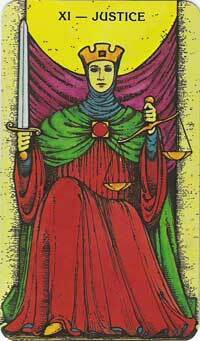 Throughout the Tarot runs the “stream of consciousness”, beginning with the High Priestess. 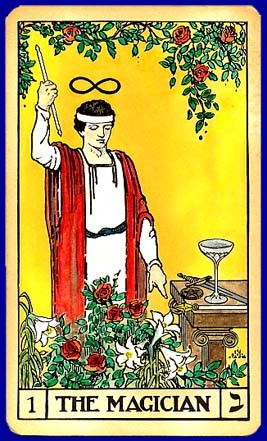 Please observe that in Key 1 the Magician hasn’t picked up his tools yet, he’s just setting the stage, so nothing actually happens until we pass through the High Priestess Key 2. And what does the stream of consciousness actually do as it meanders through the Keys – why, yes, it rises, up and up. Because as we (our consciousness, that is) meander through the Tarot we will become more conscious. In Genesis 1:2 “And the Spirit of God moved upon the face of the waters”. This is before He said “let there be light.” So many references to water, to the Divine Feminine. And what is water? Water washes and purifies, water dissolves particles and suspends them in itself, water purges, water delivers. To express all our observations, whether spiritual or physical, we are limited to the words that we use to express what we experience through our senses; but even with this limitation, it is enough to motivate us to wonder, to want to know more about where we “live”. It is through the Divine Feminine, our Alma Mater, that we will learn and study and finally realize ourselves, and by doing so, we then leave all the learning and wisdom behind (see Key 19 The Sun).